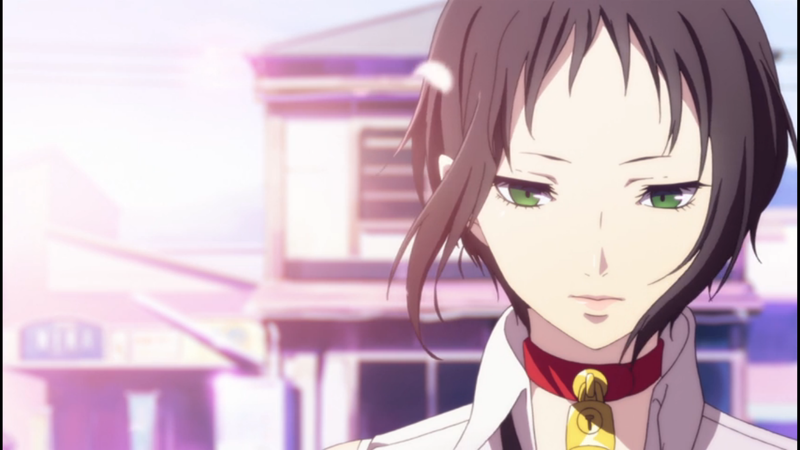 There's a lot to smile about for fans of Persona 4 Golden's character Marie recently. Along with her appearance on Persona 4 the Golden Animation, it has also been announced that Marie will feature in Persona 4 Arena Ultimax as a playable character. Unlike the Adachi DLC, Marie will not come with the game and will instead be released as paid DLC for the game. Her tagline for the game (as translated by Gematsu) is "Hollow Forest Tsundere Poet". Marie's fighting style will be using melee attacks and will involve using items from her bag. Her Persona will be Kaguya, which is the Persona you can obtain by maxing out Marie's Social Link in Persona 4 Golden. A brief look at the new Lobby feature from the game's most recent trailer. The announcement of Marie also included some details on the lobby feature which was very briefly shown in the recent Persona 4 Arena Ultimax trailer. Lobby is included in the game's online mode and will allow players to battle and chat with other players. It will also allow players to explore some of the game's locations, such as Junes and the school. Persona 4 Arena Ultimax is due for release in Fall in the US (region-free this time!) on PS3 and Xbox360. The game will be released in Japan on PS3 August 28th.